I have been meaning to post these pictures for a while, but haven’t had the time until now. Do you know what this is? 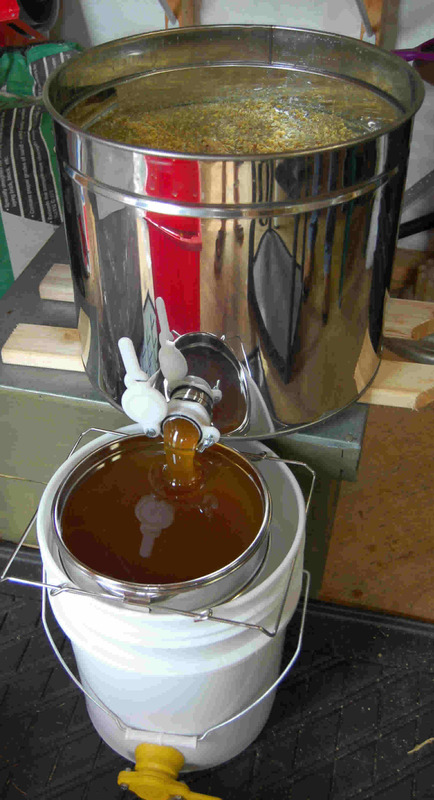 It’s honey harvesting at Buzz and Fuzz! Honey harvesting is definitely my favorite fall chore. Of course I didn’t think to take pictures of the process until the last step. Hopefully I’ll remember that next year. 1. Remove the honey supers from the hives. 2. Cut the caps off the top of the honey comb. 3. Spin the honeycomb/frames in an extractor. 4. Strain the honey, bottle, and enjoy. 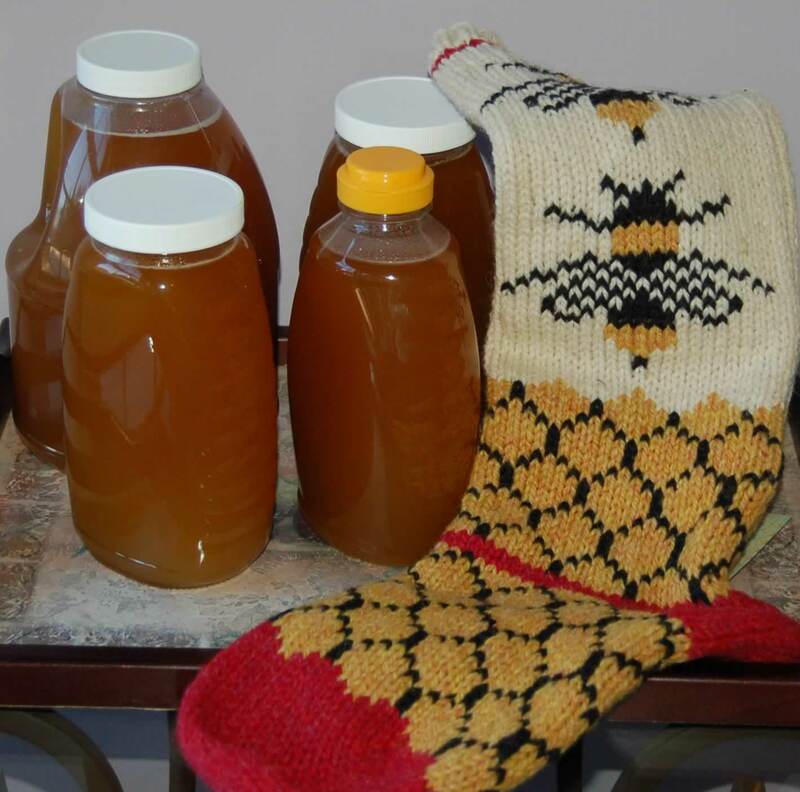 In my humble opinion, there is no honey as sweet as the honey from a backyard beehive!